Last year I devoured Karen Karbo’s the Gospel According to Coco Chanel and it got me thinking on all things Chanel, specifically the LBD and how this acronym became synonymous with stye, grace, and timelessness. It wasn’t until I started reading Karbo’s book I realized I didn’t have this iconic three letter acronym in my closet. On my quest to Marie Kondo my soul I had gotten rid of two little black dresses that I adored but just didn’t fit me properly anymore. Not having a LBD actually stressed me out. I had gone on for so long without one. I started looking through old photos with my dresses and felt a tinge of regret for sending them to ThredUp. I wasn’t exactly sure how I would go about picking out the right, new, little black dress. As always I turned to eBay. Originally I lusted the heartbreaker New Jeanne Two Wrap Dress (I still do) but the price tag made me hold off. So I continued searching eBay until I saw a sleeveless black v-neck wrap dress by DVF. Something about it just felt like it was meant for me. When I first tried on this dress I was hesitant. I have a tendency to always buy things that accentuate my petite frame but this dress is draped in a certain way where I feel like it doesn’t overtly accentuate my frame while still accentuating it. 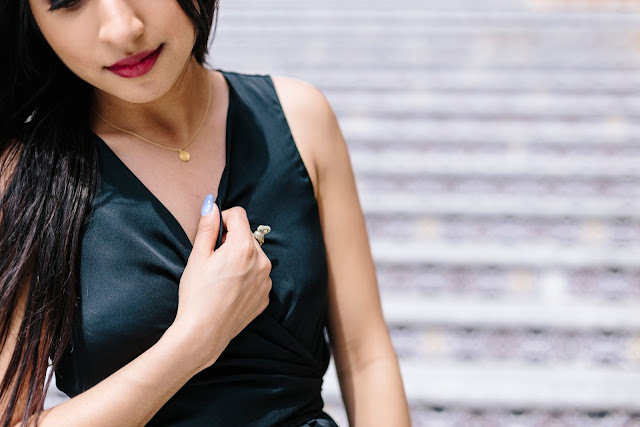 One of my favorite parts about a LBD is the ability to accessorize with it. I don't normally wear much jewelry but I couldn't help but put on a few gifts. 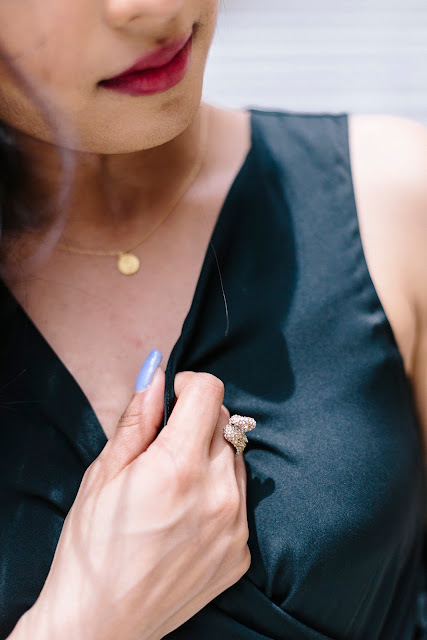 I have a simple Dogeared Lives a Maze necklace on and I'm wearing my Kate Spade On Pointe Swan ring and my Take the Cake Swan Pave ring, gifts from my friends. Although both rings are out of season I linked a couple Kate Spade rings I liked that are currently in store now. 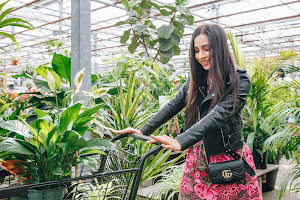 Since this is my first official summer post I wanted to add a little wishlist into this post of clothing that I've been craving from Anthropologie, J. Crew, and Shein. 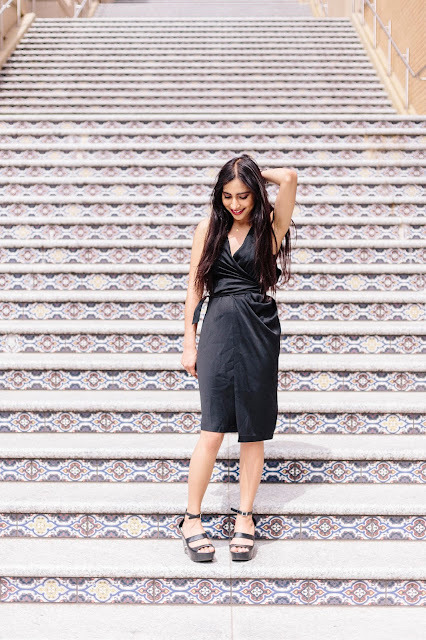 Overall this LBD is beautiful, comfy, and luxurious. This style, Diane Von Furstenberg Annika Wrap Dress also comes in a lovely shade of blue and green. I would also wear this dress with my leopard print coat. 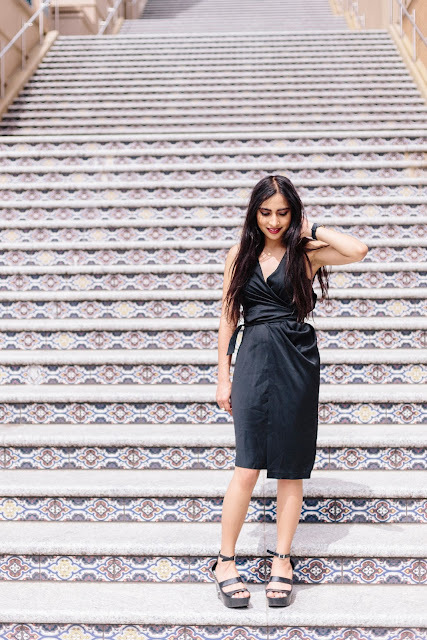 Tell me about your LBD, how do you style it? How did you find it? What's on your summer wishlist? This LBD is a must! 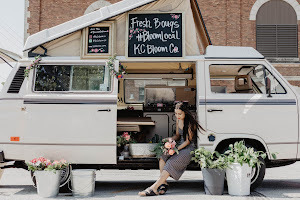 Love how you style it! Thanks Cathy! Amen its such a quintessential wardrobe piece. This is a cute LBD, it's good you found a DVF lbd on ebay, I think that doesn't come often. Thanks Mercy. I find a lot of DVF on eBay but its not the fiber quality I'm looking for a lot of the time. Looking so chic! Love the dress. I love a good LBD! Great look, lady! Such an amazing dress!! So cool! You always manage to find the most beautiful pieces on eBay, girl! I have to try my hand at it because I've only ever shopped there a few times and a few of those times I got scammed :( This dress is absolutely BEAUTIFUL! I love the satin and it looks amazing on you, perfect for your body and frame; such a great find! Thanks for sharing, beauty, and I hope you have a great weekend ahead! Oh no Jalisa! eBay is really serious about authenticity these days and if you think products are fake you can return them for your money back, I've doubted a piece before and got a full refund. Thanks so much Jalisa, I love silk dresses! Likewise. You can't go wrong with DVF! I've tried using eBay, but I feel like it's another language to me. I'm not good with the competition/bidding aspect. If you want to spice up your LBD, you could even put a cool brooch on your tie at the waist. Love the Anthro pics, especially the yellow outfit. So summery! I love that idea Yasmin, thanks so much! I rarely tend to bid these days, most listings I want are buy it now. I need that yellow dress ASAP, it'd look so good on you too.! Wow! Stunning outfit! Wonderful little black dress! The black Dress is so classy. You look amazing. I totally love this look. That is the perfect LBD! What a gorgeous LBD Sonia! I don't have a black dress that I love in my closet right now either, so I need to remedy that. I think it's smart to hold out for pieces you love though, instead of settling on things that are just okay. I would like to do more of that in my closet. I feel like a lot of us ladies don't have the LBD and its crazy to think because its such a great staple. Agreed, it makes shopping so much more fun when you don't give in to fast fashion. We should start a series.! Likewise Mme!